The metal sheet can apply industrial and civil building, warehouse , special construction, large span steel structure house roof, interior and exterior decoration of the wall. Corrugated steel sheet has light weight, high strength, rich in colors, quick and easy construction, anti-earthquake, anti-fire and anti-rain, long life, maintenance free and other characteristics. 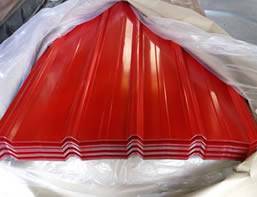 Otherwise, there are also many of this corrugated sheets formed by PVC or PE. PVC corrugated sheet can adapt to the requirements of various architectural modeling. Many of types for corrugated sheet shape beautiful novel, flexible combination, etc.It also has light weight, high strength and good performance of anti-water and earthquake. Corrugated metal sheet is easy installation and construction, such as curved sheets, so shorten the period. This sheet is environmentally friendly building materials, can be recyclable. Common classification of the corrugated steel sheet: the site of application, wave height of the sheet, overlapping structure, materials, etc. According to the site of applications: divided into the roof panels, the wall panels, floorboards and ceiling panels. According to the wave size: high wave sheet ( ≥ 70mm), medium wave sheet, low wave sheet ( < 30mm). 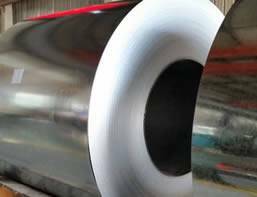 Materials divided into hot dipped galvanized, hot dipped galvanized aluminum sheets. PVC corrugated sheet (trapezoidal wave) 3.0mm thick, 930mm width, length 8ft., white color. Galv Corrugated 0.9 mm Sheet at 3014mm/5014mm/5114mm. Galv Curved Corrugated 1.0 mm Sheet at 3148mm/3253mm/2775mm with radius 5259mm. Heavy gauge galvanized or power coated corrugated steel floor decking for supporting a concrete floor. Curved steel or plastic sheets to make into animal homes and coop. Our galvanized corrugated roofing sheets surface is further protected with a layer of chromatic acid to ensure no surface rusting. The specifications are also supplied. 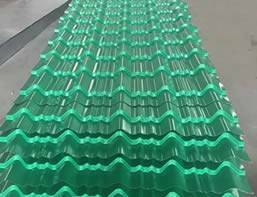 Steel roof tiles adopt special baking enamel to reach the color tone and classical flavor for customers' meets. They are widely used on villa roofs and city buildings. Galvanized Steel is able to prevent surface of steel plate from suffering the corrosion, lengthens its available time. It is mainly applies in some professions. Specifications are offered. Steel is more popular compared with concrete, especially roofing sheet. It is a very versatile building material in roofing application. And it can be used as a wall covering. Steel roofing sheet or roof tile can replace the traditional cements and concrete materials for the advantages of low cost. Here is also the strong packing method for sheets. Here is the brief introduction of corrugated steel sheet fitting guide. According to the fitting guide customers can easy to fix.